The Faculty of Applied Medical Sciences adopted the Department of Nursing in 2014. The department is an integral component of the faculty founded to promote the health and caring services of our Palestinian society through preparing distinguished nurses for leadership in academic and practice roles to meet the dynamic health care needs of our society. The department is a vibrant environment where the emphasis is on providing high -quality undergraduate education in nursing science, engaging in scientific inquiry, and translating nursing knowledge into practice through cooperating with local hospitals to coach students, and prepare them to practice professional nursing in a variety of health care settings. Within the curriculum structure of the Department of Nursing, students learn from top health professionals a variety of courses, investigating some of society’s most pressing health issues—such as Intensive care, Neonatology, and Radiologic Sciences. Moreover, students are prepared to administer holistic care by integrating general education knowledge with courses related to the faculties of Medicine, Dentistry, Pharmacy, Medical Sciences and then Faculty of Science. 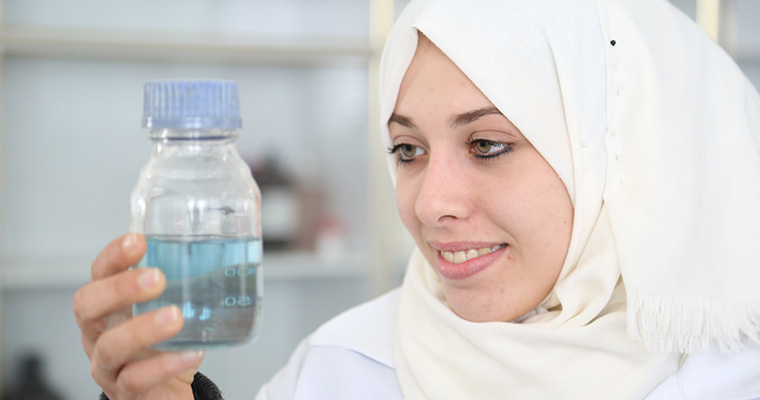 The department provides its students with the opportunity to pursue their postgraduate study in the Faculty of Pharmacy -Clinical Nutrition and the Faculty of Applied Medical Sciences.